Once I have made up my mind to study abroad for one semester in a beautiful Spanish city Oviedo. Actually, the main purpose of my studying there was improving the knowledge of Spanish language. While studying abroad, like lots of other college students I got really fascinated by mild climate of Spain, its tapas culture, amazing beaches, and pleasant culture. Frankly speaking, I wanted to live in Madrid or Barcelona most of all because these big cities could offer me the nightlife and numerous cultural events. 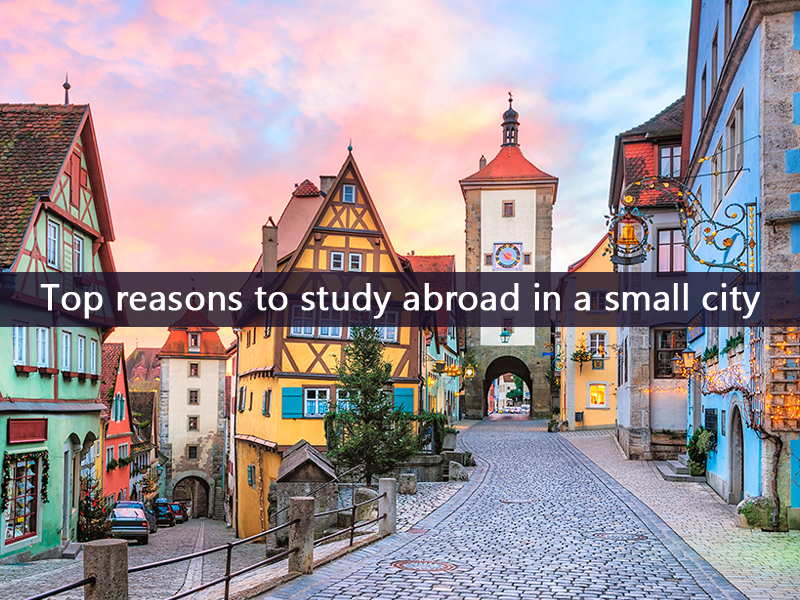 Nevertheless, I realized that there are many smaller Spanish cities that are undoubtedly able to provide everyone with unique study abroad experience. Thus, I decided to spend a semester in Oviedo, Spain.Even though I may be prejudiced, these five months that I studied in Oviedo became unforgettable. Here you can find a few reasons why I liked this small city so much and why you should reconsider spending a semester in a similar location. If you would like to learn Spanish profoundly being abroad, you ought to choose a smaller city. This is the best option. Since Oviedo is not full of lots of tourists, you cannot simply rely on your English regarding daily routines, for example, grocery shopping, making orders in a cafe-and-cute. As a result, my skills concerning Spanish improved greatly. It’s a well-known fact that the cost of living in such a small city is quite cheaper in comparison to big cities. In addition, almost all small cities are usually centered near the local university, therefore, they appear to be student-friendly. Oviedo and numerous other small cities are considered to be the best Erasmus destinations for European students. Apart from studying, I also wished for making local friends. To tell you the truth, I have thought that it is going to be so difficult for me to get acquainted with new people. However, as soon as I’ve arrived, it was easy for me to make new acquaintances. It must be admitted that Spanish culture is unbelievably social, especially with regard to cities of Oviedo’s size. When you meet with various people and feel that your level of Spanish is not the highest, don't be so intimidated. It's no secret that lots of people would like to practice their English, so you can be quite helpful in this! In spite of the fact that the period you were supposed to live abroad will fly by, you might even not want to go home and leave this place. To tell the truth, having spent several months in a smaller city I realized that this place and people will be always happy to welcome me back.